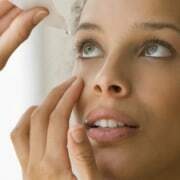 You are here: Home / News / Discuss your family’s eye history this JulEYE. Discuss your family’s eye history this JulEYE. It’s as simple as having a conversation and as serious as saving your eyesight. 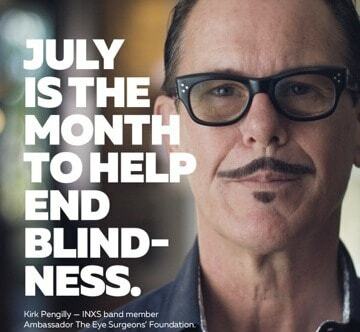 The RANZCO Eye Foundation (Royal Australian & New Zealand College of Ophthalmologists), a national not-for-profit organization, dedicates the month of July to its annual community awareness campaign. JulEYE is aimed at educating Australians about eye disease and this year is encouraging everyone to discuss their family eye history. Despite 75% of vision loss being preventable or treatable, many Australians are still not finding out if eye disease is part of their family history to determine if they’re at risk and need to have their eyes checked. 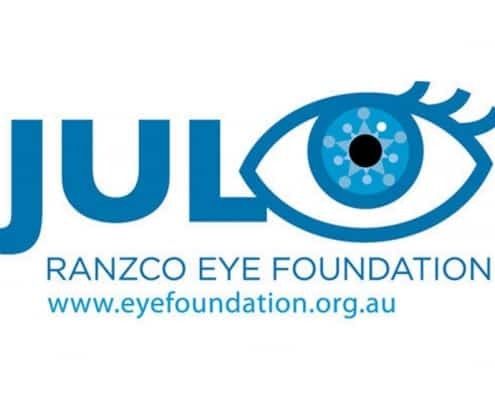 CEO of The RANZCO Eye Foundation, Jacinta Spurrett explains the JulEYE campaign, now in its sixth year, continues to educate Australians about eye disease. “Too many young people equate vision loss or blindness to old age, but eye disease, like cancer, is indiscriminate and can happen at any age. More than 200,000 Australians are currently suffering from vision loss related to eye disease and every year a further 10,000 Australians will lose part of their vision or go blind. 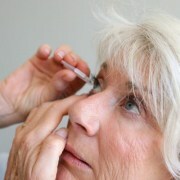 It is very important that you find out if you have a history of eye disease in the family and if necessary, be referred to an Ophthalmologist to have your eyes tested this July,” Spurrett adds. 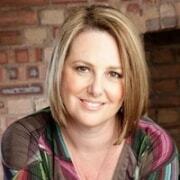 “Each year we aim to reach more and more Australians with our message. Our focus in the first week of JulEYE is to encourage Australians to discuss their family’s eye history and to get their eyes tested if there is a history of eye disease. We will also highlight the real and increasing rate of diabetic retinopathy. With over 1.1 million Australians currently diagnosed with either Type 1 or Type 2 diabetes , it is vital that eye health check-ups are part of their overall diabetes management. Throughout JulEYE we will continue to challenge Australians to start talking about their family’s eye health and make it part of their family health discussions,” Jacinta Spurrett said. Joining the JulEYE call to action is INXS band member and ‘JulEYE’ Ambassador, Kirk Pengilly; renowned Australian legal academic and 2011 Senior Australian of Year, Professor Ron McCallum AO, who has been totally blind since birth; former Director of the National Gallery of Australia, Betty Churcher AO who suffers from macular degeneration; and one of Australia’s highest-selling independent musical artists and motivational speakers, Lorin Nicholson who is also legally blind. No one should take his or her eyesight for granted. https://focuseyecentre.com.au/wp-content/uploads/2018/07/juleye.jpg 332 360 Team Focus https://focuseyecentre.com.au/wp-content/uploads/2014/01/focus-logo.gif Team Focus2018-07-09 20:29:362018-07-09 20:29:36Discuss your family’s eye history this JulEYE.